For the next month you may spot a rather large piece of machinery on site. With the sewer works behind us (or beneath us! ), a new chapter has officially started. Ladies and gents the piling has commenced! Piling is one way of building the deep foundations of a structure. You drill down deep into the ground and fill the space with concrete, steel or even timber. The hole is then filled with concrete. We are using two types of piles – secant and bearing. 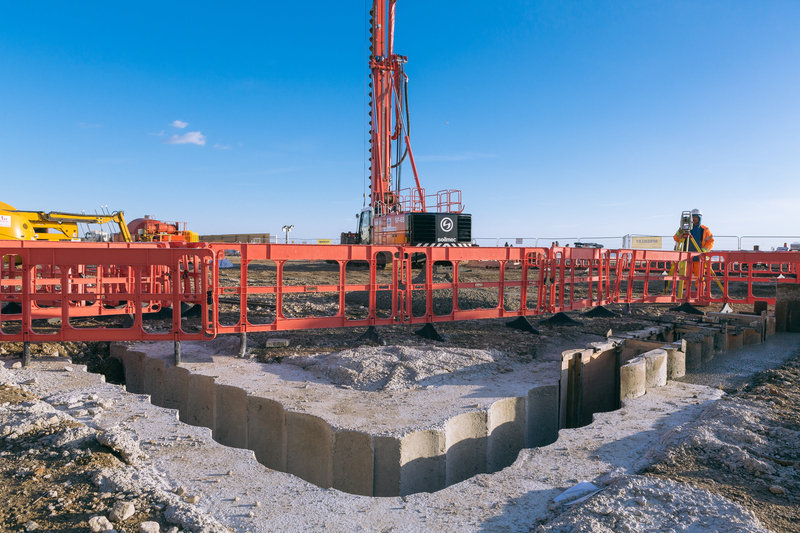 Bearing piles are placed throughout the whole site and will act as stilts – holding the building securely in the chalk strata below the site. They are drilled at different depths depending on where on the beach they sit and what they are holding. Our bearing piles range from 13 to 20m and once drilled, will be topped off with piles caps and beams before the reinforced concrete ground floor slab is cast over the top. Secant piles are used to create our basement wall. Rather than ‘hold up’ they need to ‘hold back’; the shingle would just collapse in if we were to dig our basement. 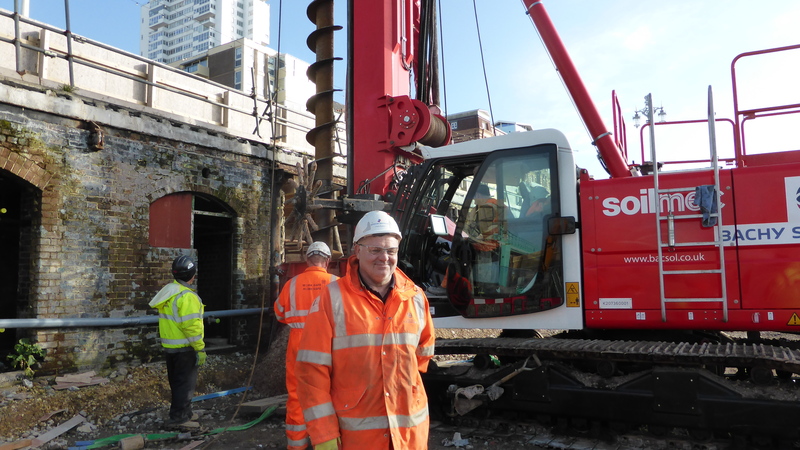 The secant piles are 10m deep and interlock to hold the shingle back, allowing us to excavate the space. How do you stop the hole collapsing? 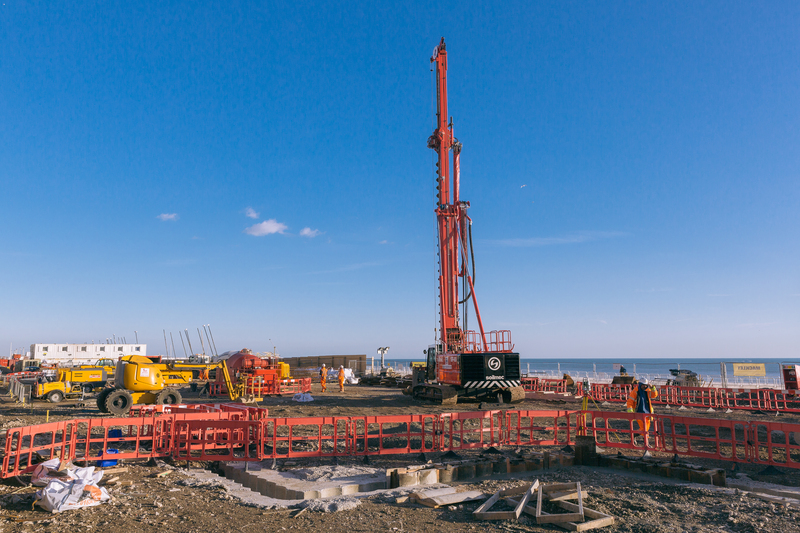 We are using a continuous flight auger (CFA) pile, which means that as we drill down through the chalk, clay and shingle, we fill the space with concrete (which incidentally comes from a local Shoreham plant). A hose runs through the stem of the auger and pumps cement grout mix straight to the bottom. 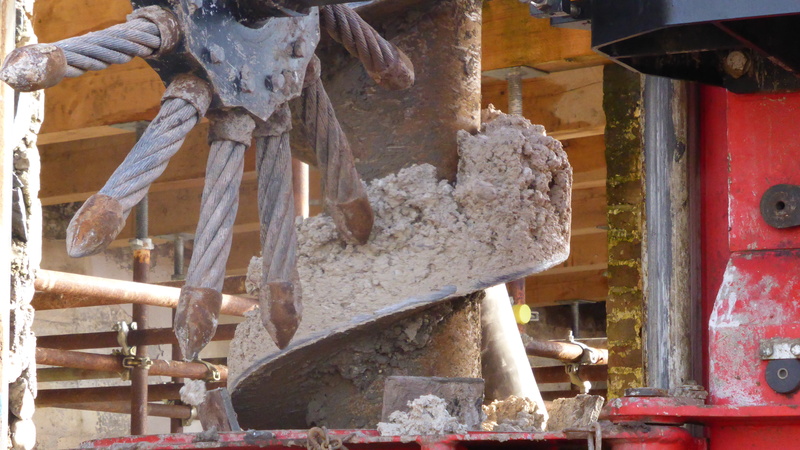 While the cement grout is pumped, the auger is slowly withdrawn, conveying the soil upward along the flights. A shaft of fluid cement grout is formed to ground level. How will the basement walls interlock? The piles are scalloped and are either ‘male’ or ‘female’. We drill them in at different times and the scalloped nature means a male pile can interlock with a female. Females are drilled on Mondays and Tuesdays, males on Wednesdays, Thursdays and Fridays. Female piles are straight concrete. 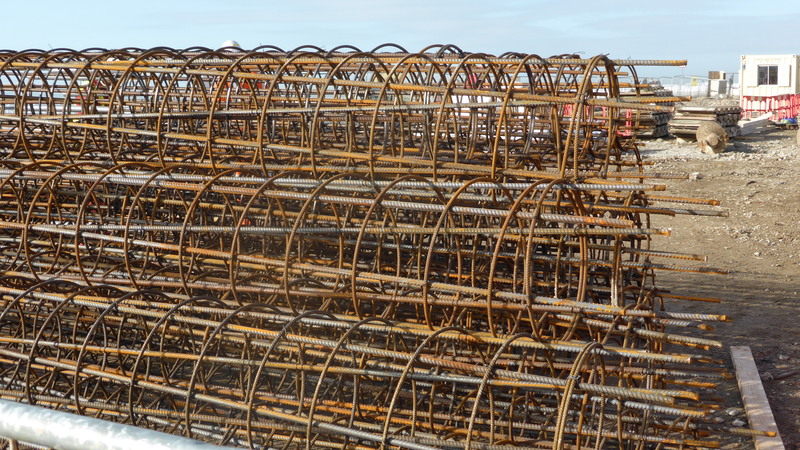 The male piles and baring piles are different – they are reinforced with helical cages which are steel spirals that run through the pile, and lacers, which are straight rods of steel. They carve into the female piles with their greater strength interlocking the structure. What happens when you have finished interlocking the piles? Once complete we will excavate out inside the basement and install temporary props to support the walls during construction. Upon completion of the excavation we will cover the bottom of the excavation with a layer of blinding concrete before fixing the 170 tonnes of steel reinforcement required for the main tower foundation. Who is in charge of the piling? Gary is our chief piler! 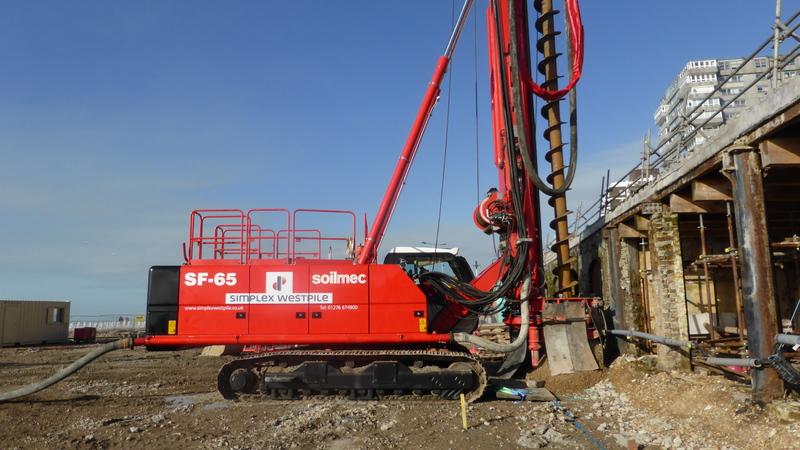 The CFA rig belongs to Simplex Westpile, a leading specialist in the piling industry. They seemed pretty happy to be on such a sunny site yesterday. Let’s hope the impending rain does not dampen their spirits.